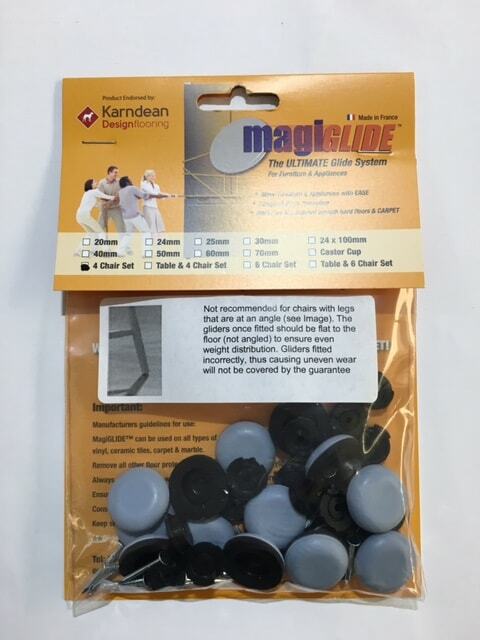 Make sure that your dining chairs move smoothly and silently with this practical MagiGlide set. 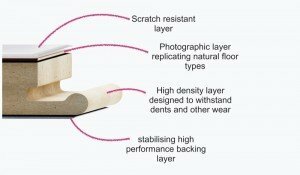 The rubber material will glide perfectly on a wide range of surfaces, and will protect flooring at the same time. You can use this 6 chair set to transform your dining room or kitchen area into a more comfortable space. 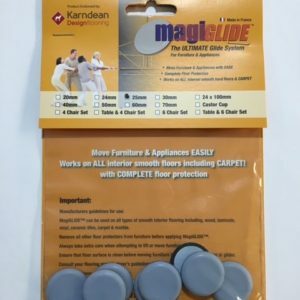 The 22mm round clip and nails are easy to attach and they will suit chairs with straight, not angled legs, as the protectors should be flat on the floor, for perfect weight distribution. 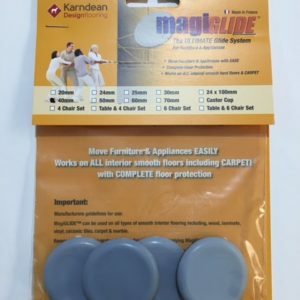 You will receive 24 pieces in every pack, and you can use these gliders on ceramic and vinyl tiles, wood and laminate flooring, or even on carpets and marble.